This is the companion web site for the book Handhelds for Teachers & Administrators. 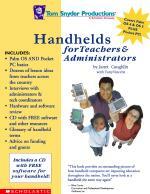 Order Handhelds for Teachers & Administrators. Click here!